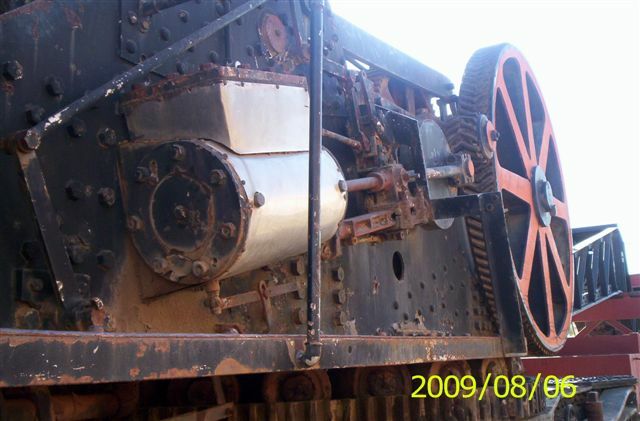 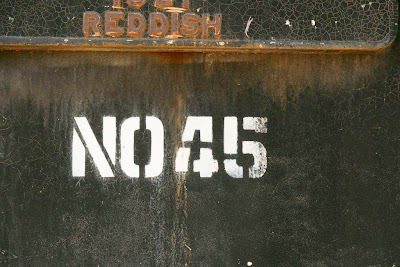 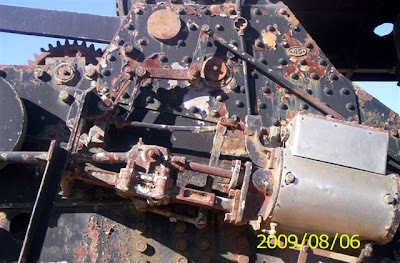 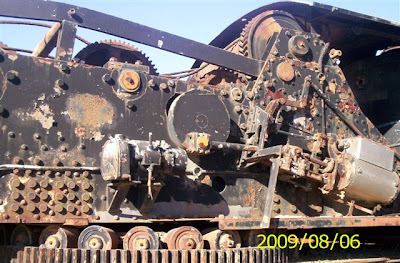 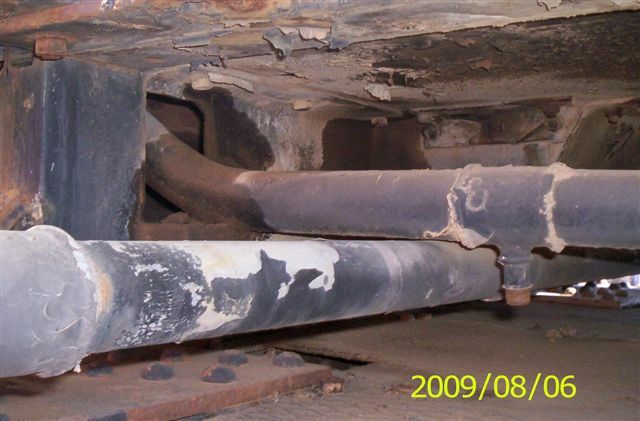 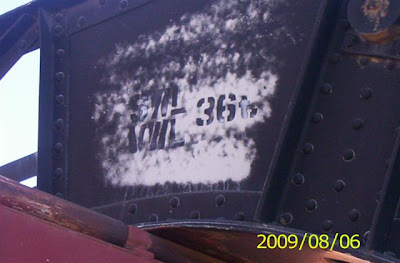 In the railway yard, located to the north of the Keetmanshoop station, a fairly unique and historical steam-related railway relic may be found. 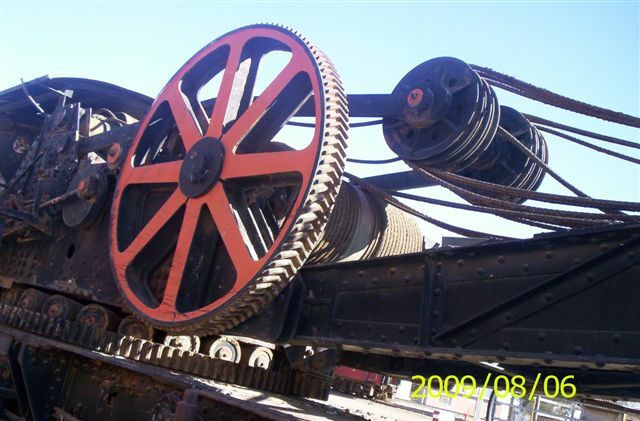 It is a steam breakdown crane built in 1921 by Craven Brothers at their Vauxhall Works factory located at Reddish. 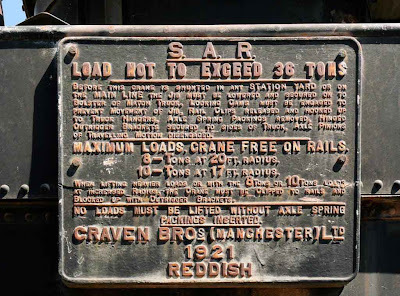 Reddish is an area of the Metropolitan Borough of Stockport, in Greater Manchester, England. 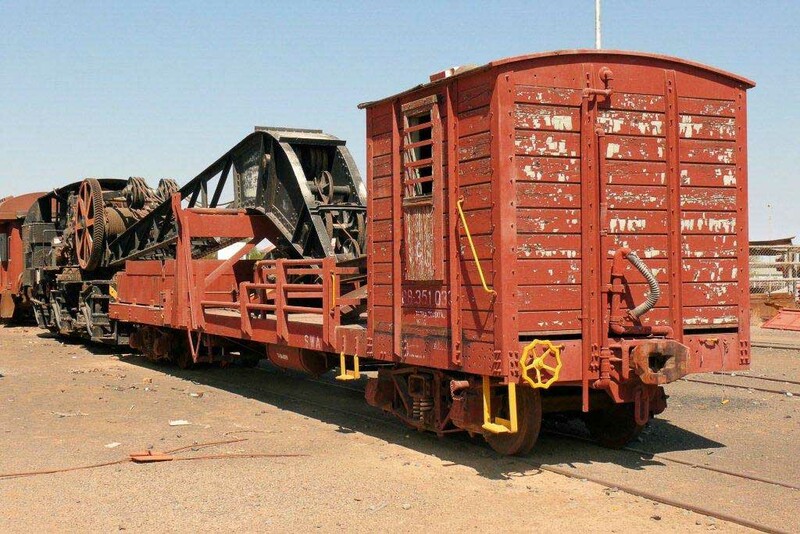 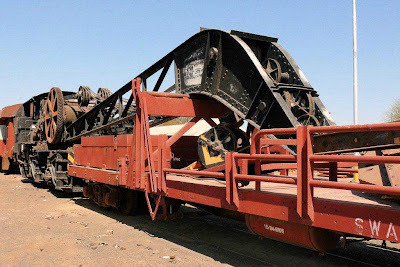 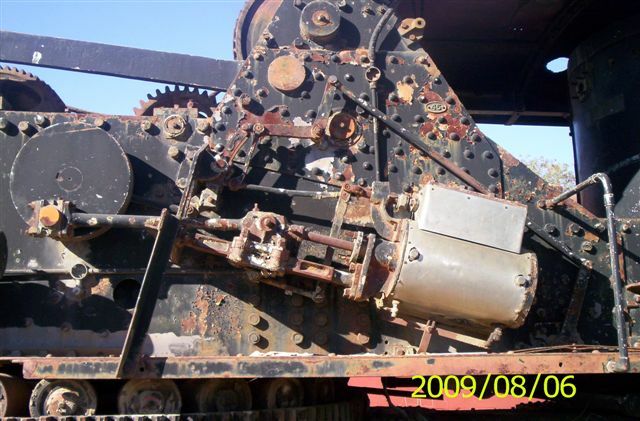 This 36 ton crane, with wheel configuration 2-6-2, was built for the South African Railways (SAR) and the SAR operated it as their crane number 45. 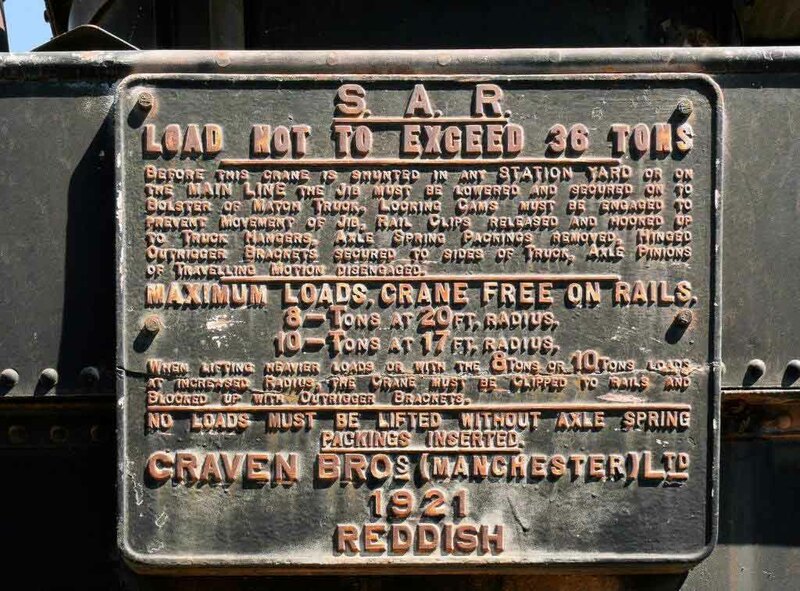 Apparently the SAR had at least 3 more similar cranes, nos 46, 47 & 48 delivered in the same batch by Craven Bros. Most SAR steam cranes have already been sold off as scrap iron, and this one is probably the only one left in Namibia. 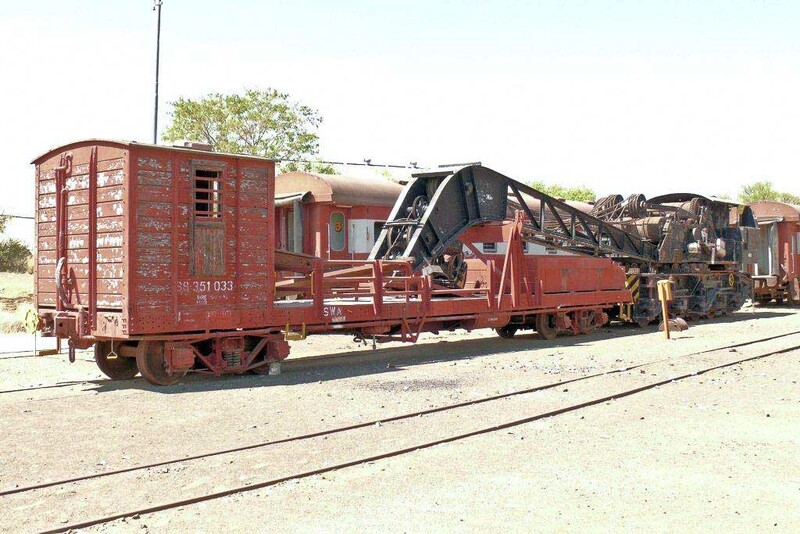 Ideally it should be moved to the premises of the railway Museum at Windhoek station, so that visitors to the museum may also enjoy this relic of railway history. 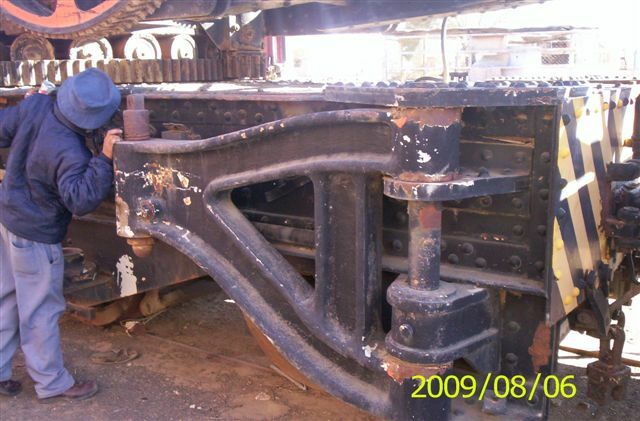 My brother Louis Conradie, after getting permission from the people in charge at the yard, visited the steam crane on 2 September 2009, and kindly took some photos for use by me on this blog page. 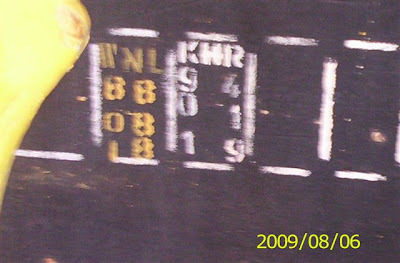 Thanks again Louis (& also Therése, for waiting in the car on a hot day) !!! 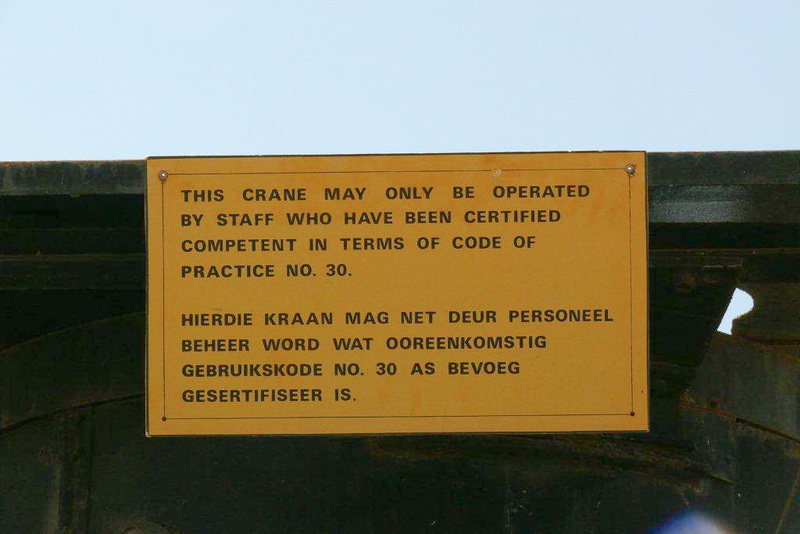 All photos (unless indicated otherwise) are courtesy of Louis Conradie. 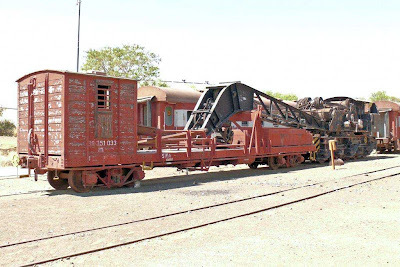 Keetmanshoop would have been a natural base for a steam crane on the South West African ("SWA" as marked in the photos) branch line from DE AAR as run by the old SAR. The crane could easily be shunted to either the north or the south to whichever point it was needed. 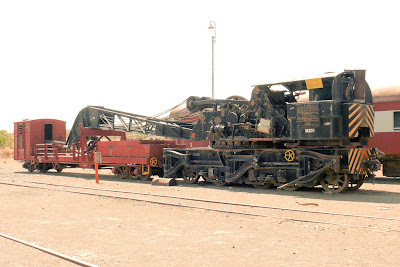 Finally we have, courtesy Louis Conradie, two panoramic views of the Steam Crane. 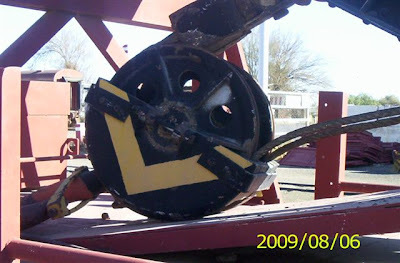 The photos following, dated 2009/08/06, were NOT taken by Louis Conradie. 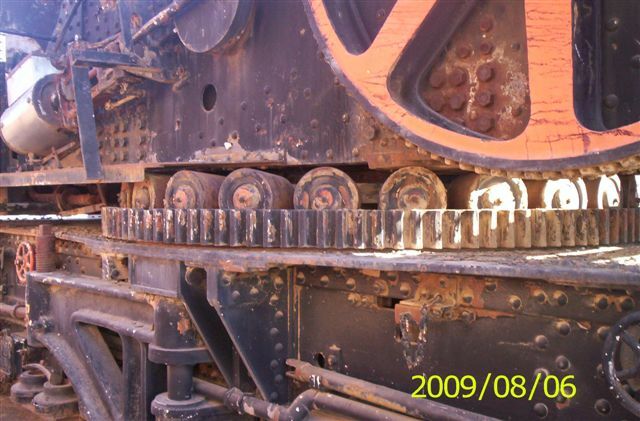 Some further photos, dated 6 Aug 2009, were provided via Konrad Schüllenbach, the Curator of the Transnamib Museum in Windhoek. 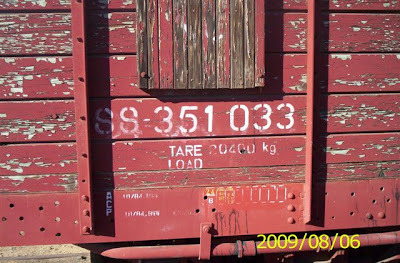 "WNL (19)88-08-18"- apparently "WNL" was the Railway Code for Windhoek. 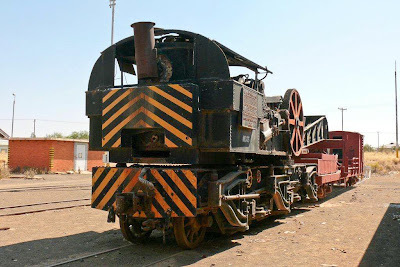 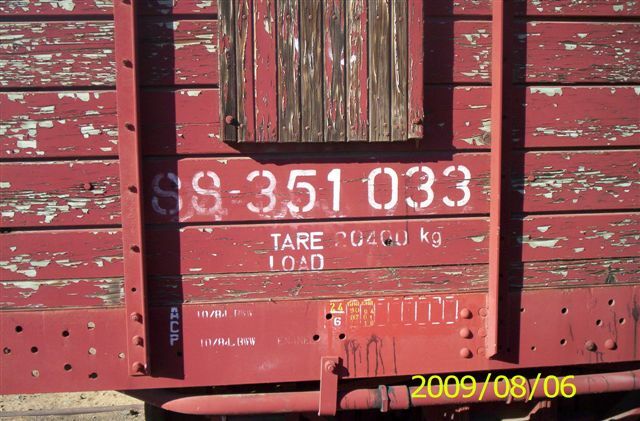 "KHR (19)94-01-19" - presumably "KHR" was the Railway Code for Keetmanshoop. Anyone who can verify these assumptions, please contact me. 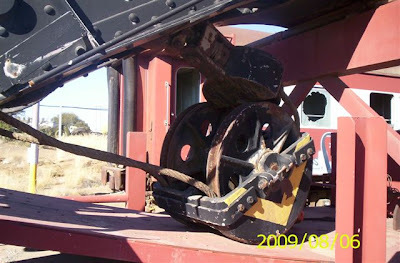 An elder Craven Brothers cousin crane in Western Australia. I am a member of the Hotham Valley Railway (HVR) which is in Pinjarra 80 km south of Perth in Western Australia. 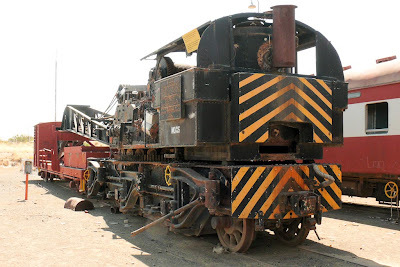 There are a number of steam locos circa 1951, Beyer Peacock and one 1897, Dubbs. 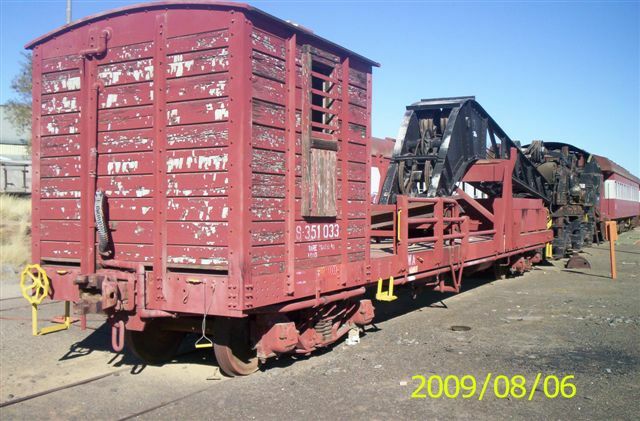 They also have a number of South African passenger carriages that were used for long distance tours but since privatization the insurance costs have stopped those services. At present we are working on the steam locos removing the super heating pipes for restoration. 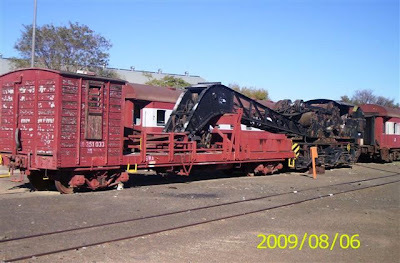 I have recently become interested in a steam railway breakdown crane made by Craven Brothers built in 1912 that is lying idle in the yards unloved and forgotten. 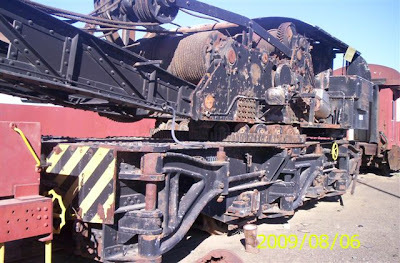 I searched Craven Brothers on the web and came across your site and I thought you may be interested so I sent you some photos. 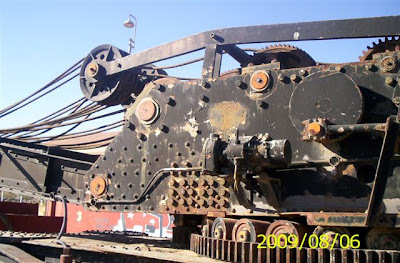 At present I am trying to interest HVR in doing something about the crane as it reaches 100 years in 18 months. 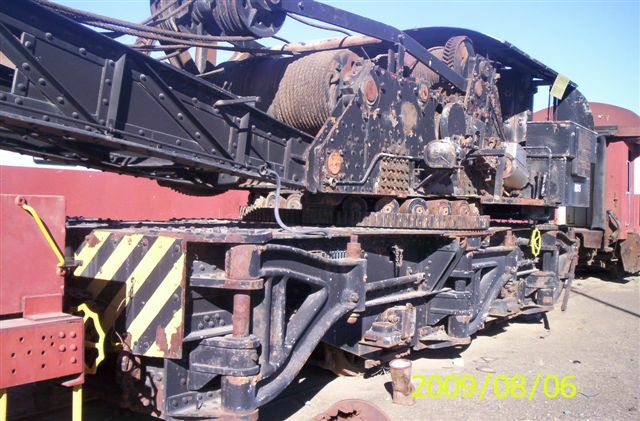 I have done a search for steam railway breakdown cranes in Australia and there are a few web sites. 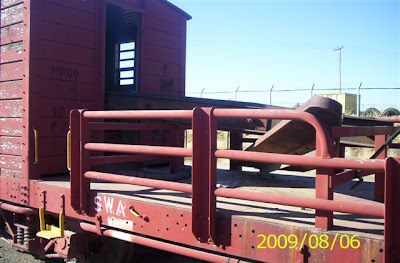 Below are the photos provided by Vaughan - these were taken on 12 October 2010. 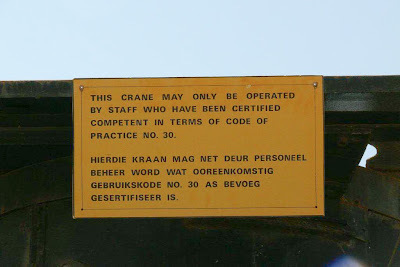 NZR Cranes - the crane makers. Communications with Christopher Capewell in the UK. 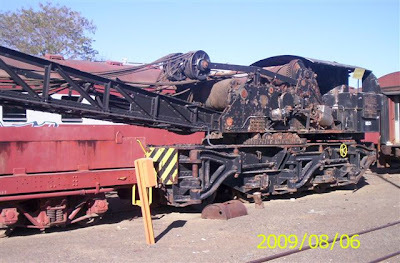 Railway steam crane photos on sa-transport. 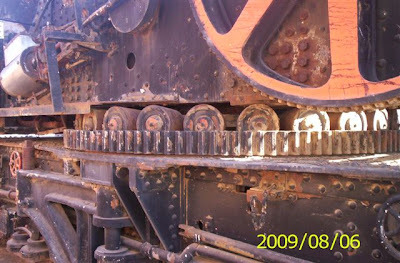 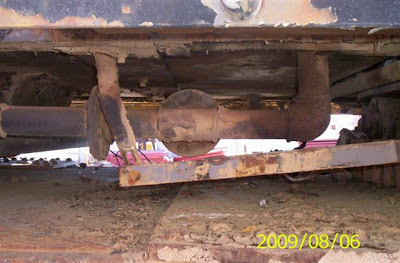 Nothing missing from the first and fifth axles in your photos! These have inside bearings and axleboxes arranged to allow radial movement of curves. 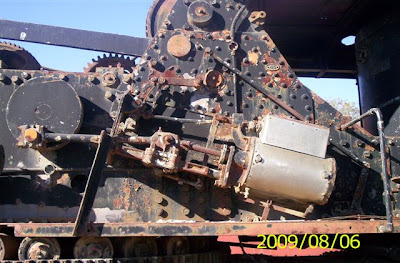 The outward extension of the axle (where it looks as though the axlebox is missing) is provided to allow a spring relieving pad to be screwed down to 'lock out' the springs when lifting.